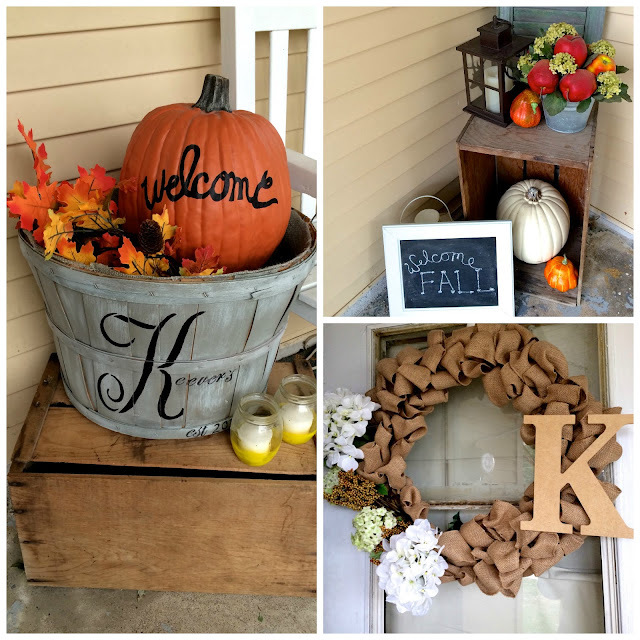 I'm sharing my fall porch today. Fall decor is the best. 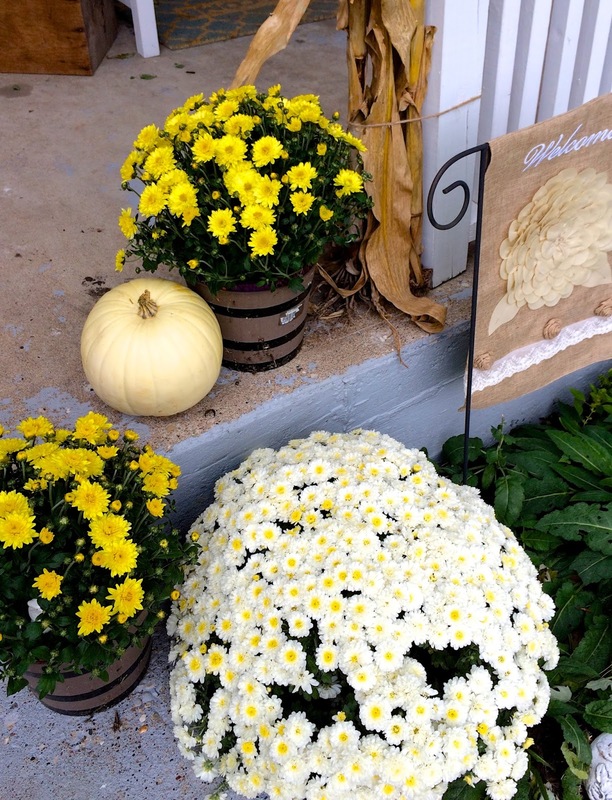 Mums and pumpkins galore! 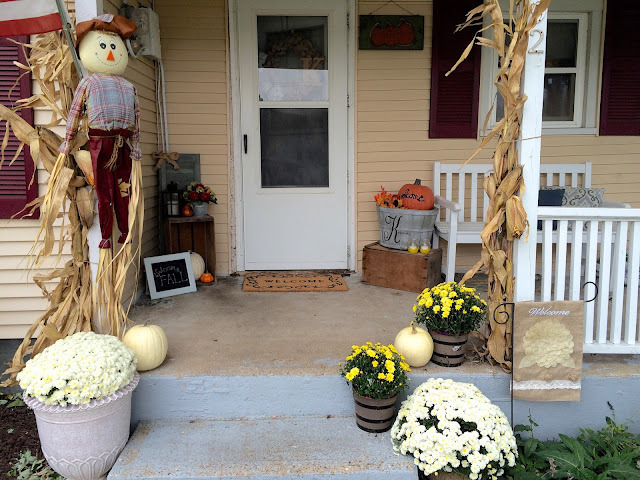 Here are a few shots of our porch this year. I've incorporated some elements from falls past, along with some new items. There are also plenty of DIY projects in the mix. 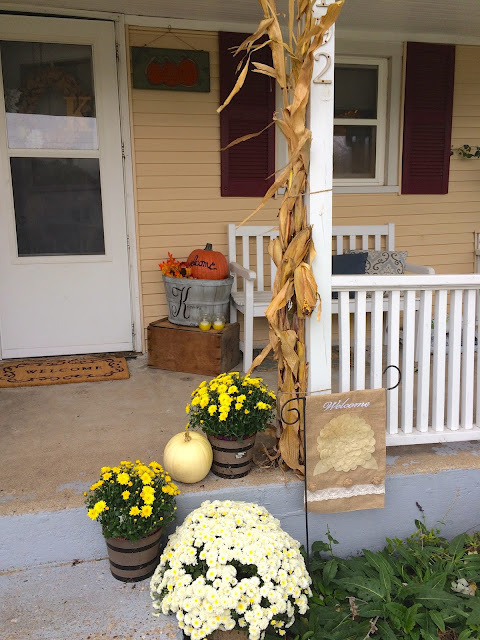 I made my new burlap wreath this past weekend. You'd be surprised how easy that project was! 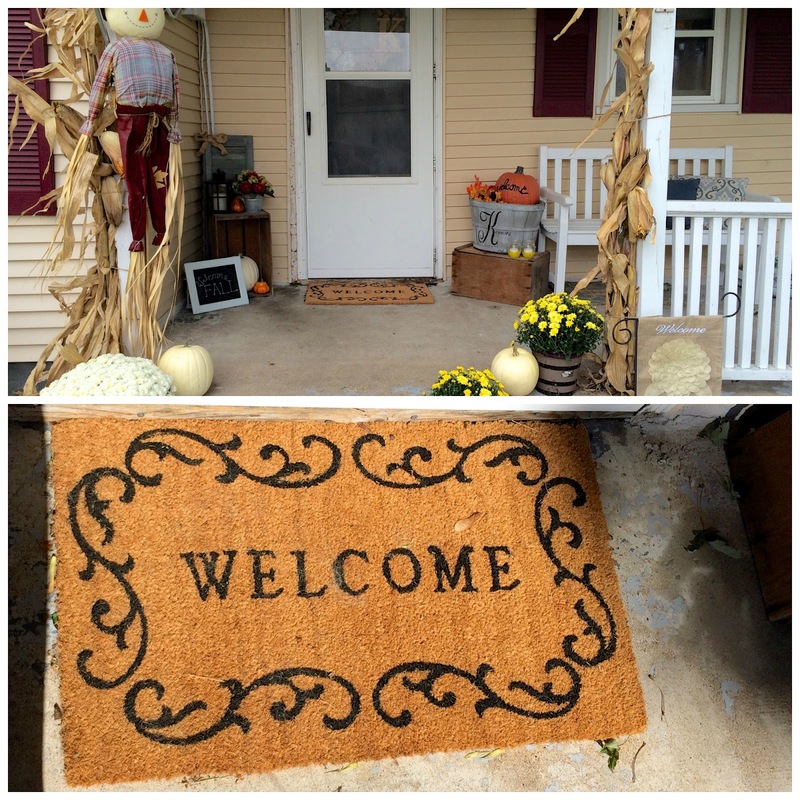 The new welcome mat is from Joss and Main, and so is my new burlap garden flag. Cute, right? I love the big white mums! They're from Walnut Grove Farm in Knoxville - A Scenic Drive find. 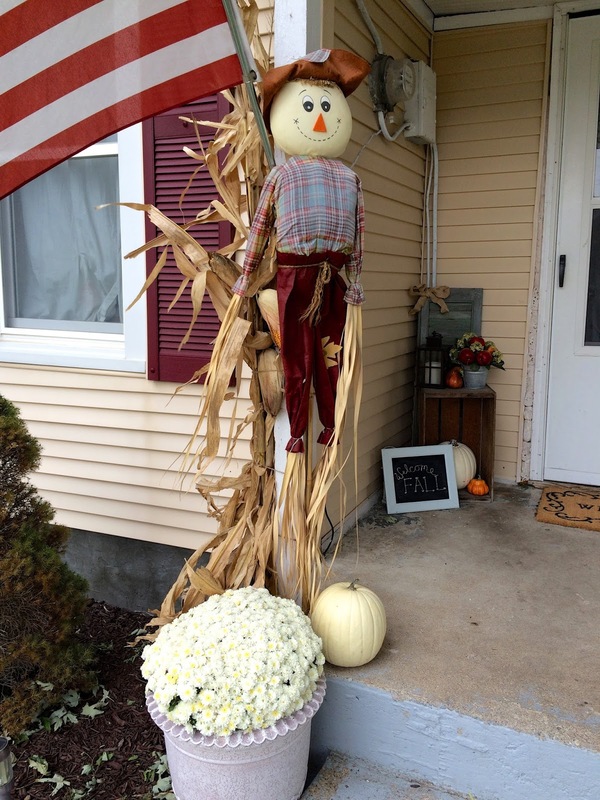 Ol' Scaredy the scarecrow is back again for another year. 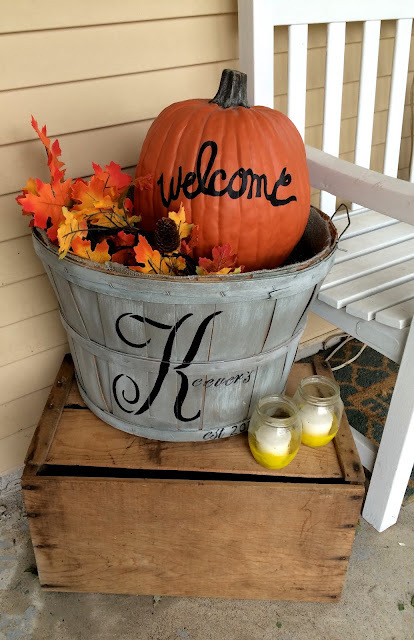 My welcome pumpkin is also back again! I painted a craft pumpkin a couple of years ago - see this post for more info. The basket it's sitting in was made by Trent's aunt and was a wedding gift. 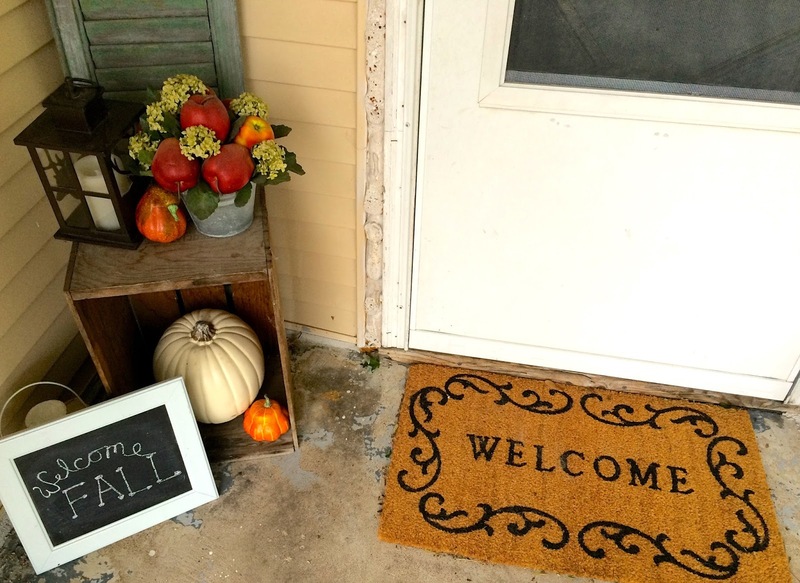 There are landscaping bricks inside to fill space, along with a fall leaf garland. Those glass votives on top of the wooden crate were old fruit jars that I just painted yellow at the bottom. 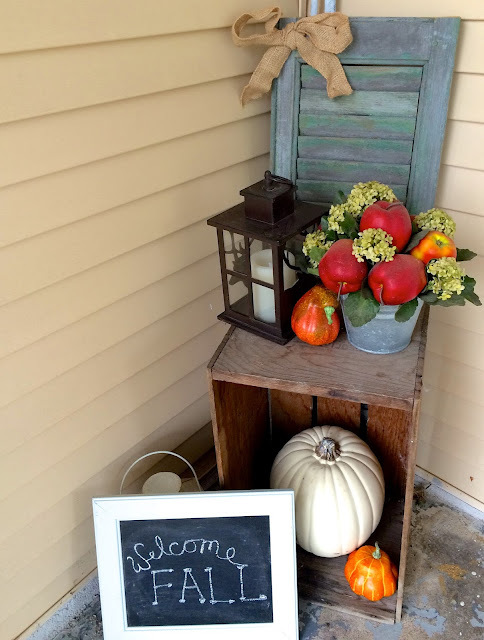 Our door, and the porch floor, are both eyesores at the moment - so I guess the fall decor is my way of making it look a little easier on the eyes, until we can fix up the rest of it! It's not much, but it makes things feel a little more festive around here. The leaves are slowly changing too! They create the perfect fall backdrop, that's for sure. Have you decorated your porch for fall yet? I'd love to see it! Your Fall front porch looks really nice! Love the mums! Visiting from Sunday's down under!